Posted on November 27, 2013 by Liz O. Yesterday, I posted the following in my personal Facebook page. Since it’s that time of year, I wanted to say thank you all for being awesome. Some of us have known each other for most of our lives by now. Some of us have never met in person. Yet, you’ve all managed to make the day-to-day drudgery of work a little bit more entertaining. Thanks for the funny little updates about your day, weird videos, selfies and memes. Even your cat pictures and kid updates are cool, and I’m allergic to both. I hope to see more of you in person more frequently soon, but we can talk about that later. In the meantime, Happy Thanksgiving. Have an awesome weekend and KIT, or something like that. I wanted to repost and expand on this because the message goes far beyond my circle of Facebook pals. I’m grateful to live in a world where we can share our life experiences with faraway friends and people we will never meet in person. As annoying as Internet life can be, it’s changed who we are and how we relate to each other. At its best, this whole swirl of Facebook/Twitter/Instagram/Tumblr madness can be the push we need to become more compassionate, empathetic people. In the physical world, we’re divided by geography, industries, social circles, age groups. Online, we can get a glimpse inside the lives that we don’t see on a day-to-day basis. When we use these technological gifts to their fullest advantage, we learn as much about each other as we do about ourselves. All that means is that I’m thankful for you and how your stories have made an impact on this reader/snooper this year. For those of you in the U.S., have a great holiday. For everyone else, hope you have an amazing rest of the week. 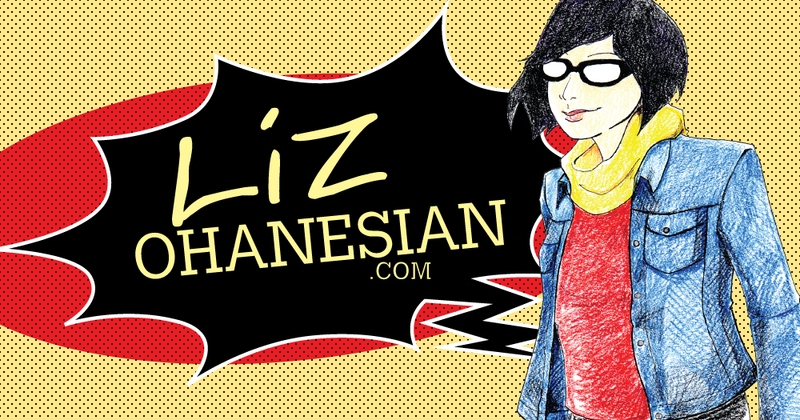 Posted on November 8, 2013 by Liz O.
I’ve spent the last five years covering fan conventions, both the big events like San Diego Comic-Con and smaller, hotel cons like Anime Los Angeles. As far as reporting to go, these are nearly always my favorite assignments. That’s why I need to dig deeper into it. Maybe my convention coverage is a little different from what you might expect. I’m not particularly concerned with entertainment industry announcements. Checking out the toys and art and costumes are fun, but they aren’t everything. Mostly, I’m interested in people. This is evident in stories I’ve written for L.A. Weekly, like “A Fan Convention Through the Eyes of a Single Cosplayer,” “The Curious World of Voice Actors” and “Sean Z. Maker: Founder of Bent-Con, the LGBT Pop Culture Convention.” I want to know why you lug your work out to artist alley booths, why you volunteer to run them and why you spend months working on a costume. Right now, I’m in the beginning phases of a large-scale interview project concerning the world of fan conventions. The goal is to present a series of essays about people from various segments of the convention world. I will be updating this blog weekly with stories resulting from these interviews, essentially the rough drafts for what will, hopefully, become a book. This where you come in. I’m putting out an open call for interview subjects. It’s imperative that these interviews take place in person, either at a convention or a mutually agreed upon location. Since I’m working with no budget for travel, this means that you have to be from the Los Angeles area. The first interview should take about an hour. We may need to meet for subsequent interviews, depending on the nature of the story. I’ll also need to take a few quick photos of you, so it’s important that you’re not camera shy. Finally, if you want to be considered for an interview, you need to be at least 18 years old. If you’re still interested, email me at lizohanesian [at] yahoo [dot] com with the subject line Convention Interview Project. I’ve already conducted a few interviews, which you will see as soon as I can get those transcribed. Over the next few months, we’ll start to watch the big story unfold together. 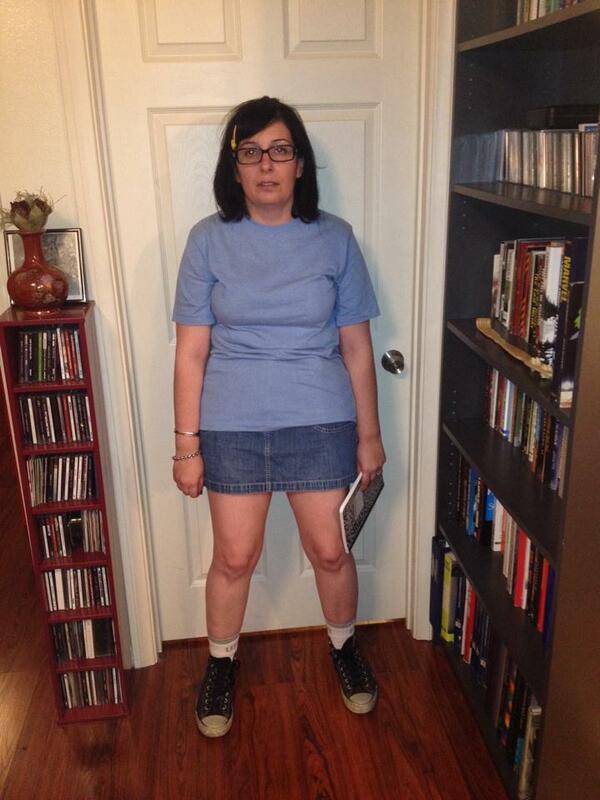 Posted on November 1, 2013 by Liz O.
I was Tina Belcher for Halloween. For those who don’t know the reference, Tina is the eldest daughter on the animated show Bob’s Burgers. If you have never watched that show, you should. The inspiration came mostly from my friend, Roo. He’s always sending me gifs of Tina’s antics. It’s also inspired by my husband, who is convinced that I was like Tina at 13. He’s kind of right. Anyhow, after pulling together the costume with stuff in the closet and a few odds and ends picked up for cheap across L.A., we headed to Club Berlin at Alpine Village in Torrance. It was a great night, probably the best Halloween I’ve had in a while. The crowd was fun and energetic. Some good friends hung out with us, including one who was celebrating her birthday. Plus, I did capoeira Tina-style on the dance floor and in the DJ booth. Yes, there’s video. You’ll probably see it at some point. I get a little too into character on Halloween sometimes. Thanks to everyone who made last night so awesome. Check out the set list.